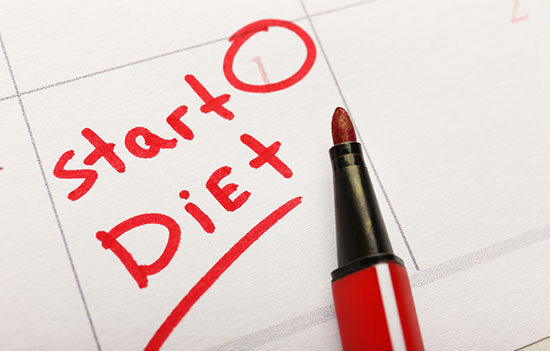 What is a Good Hypothyroidism Diet Plan? Hypothyroidism is one of the most prevalent hormonal imbalances in North America. 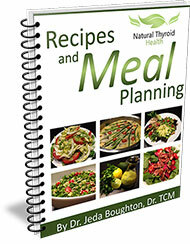 The good news is that even an underactive thyroid can benefit from the right food and gentle detoxing. Your thyroid is at an immediate disadvantage when it is exposed to fluoride. Without a doubt, fluorinated tap water increases your risk of hypothyroidism. Fluoride suppresses not only your thyroid, but it also disrupts the hormones of the parathyroid, adrenals, pituitary, pineal glands and pancreas. If your drinking water is contaminated with fluoride, use a water filter. In a sense, fluoride “sticks” to the receptors in your thyroid, making it impossible for other nutrients, like iodine, to take their rightful place. What’s more, your immune system sees the fluoride as an intruder, and starts attacking it and your thyroid, which can result in autoimmune disease called Hashimoto’s thyroiditis or Grave’s. This includes planning your meals and eating regularly. Plan your lunch and dinner at least a day or two in advance. Prepping your meals will save you time, money and eliminate unhealthy last minute choices. Eating out should always be a last resort, even when you think you’re ordering a healthy meal, you don’t really know what is in the food. Eat plenty of protein for breakfast and be sure to include good fats, like olive, coconut or flax oils. Fats and protein are healthier and more sustaining for your endocrine system than the more common grains and sugars. Iodine is an essential trace mineral that acts as a building block for your thyroid hormones. It can be found in seafood, such as seaweed, kelp, wakame, scallops, shrimp, sardines and wild salmon. Smaller amounts can be found in eggs, sweet potatoes, milk and yogurt. Selenium is the trace mineral that prompts the conversion of your inactive thyroid hormone T4 to the active form T3. It is responsible for proper immune function, countering inflammation and thyroid function. Eat three raw Brazil nuts daily, as these are one of the richest and most convenient sources. Otherwise, tuna, wild salmon, oysters, snow crab and grass-fed pork and beef contain moderate amounts of selenium. Traditional Chinese medicine takes into account your individual constitution. Different foods work better for different deficiencies. For example, if your digestive system is weak, your TCM doctor may ask you to avoid cold or raw foods and favour foods that are nourishing to your digestive system. TCM does not simply focus on treating your thyroid. If there are other organs in your body that are out of harmony with your thyroid, TCM helps re-establish a working balance. After an assessment of your entire system, a TCM practitioner will develop an individualized dietary plan, along with herbal medicine and acupuncture, tailored to what will work best for you.